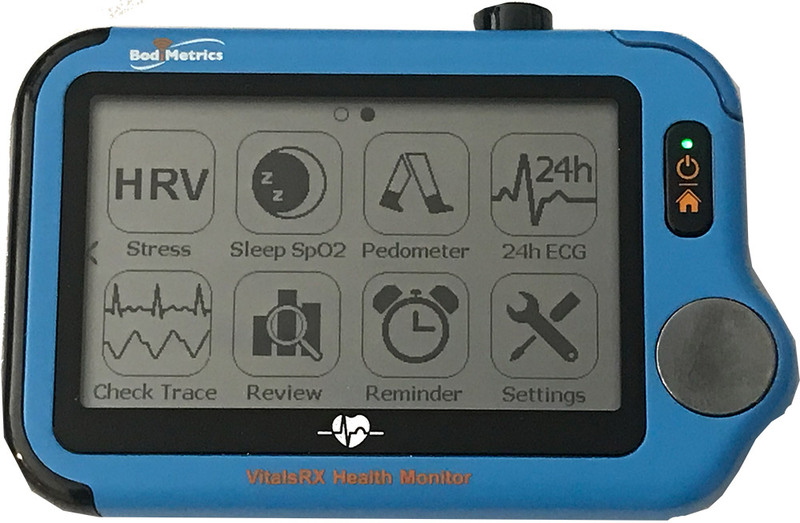 BodiMetrics™ VitalsRx captures all of your vital signs in less than a minute while also providing continuous ECG (24 hour Holter) monitoring, recording and reporting. 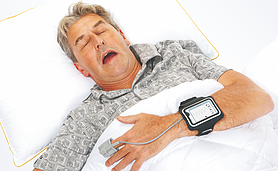 Also, monitor, record and report on Blood Oxygenation (SpO2 and Pulse Rate for up to 15 hours). 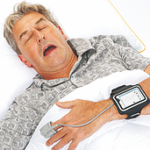 Combined VitalsRx provide easy cost-effective monitoring and screening for heart irregularities and sleep related health issues like sleep apnea. THIS PRODUCT REQUIRES A PRESCRIPTION FROM YOUR DOCTOR. PLEASE COMPLETE OR UPLOAD PRESCRIPTION INFORMATION DURING CHECKOUT. 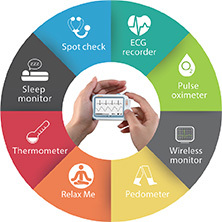 BodiMetrics™ puts Your Well-being in the Palm of Your Hand! 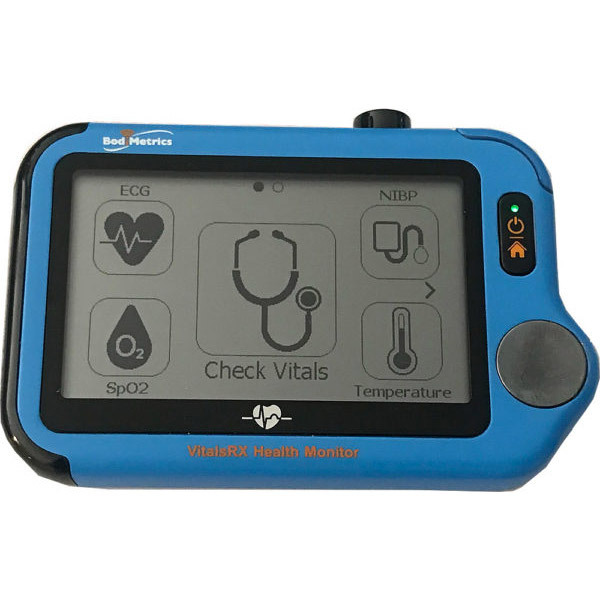 Lightweight (3 oz) and portable, VitalsRx Health Monitor is the world’s most cost effective and versatile 5 Vital sign monitor. 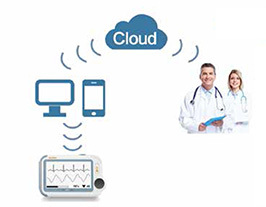 It provides audible and visual usage instruction, stores 100 records for up to 7 family members (and 1 Guest) and you can sync your device with the VitalsRx free mobile iOS or Android app and optional secure cloud. 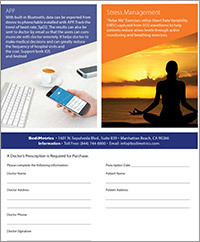 We provide you, family members, doctors and caregivers peace of mind and portable health tracking. 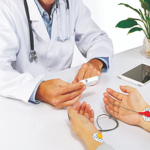 BodiMetrics™ VitalsRx captures over 5 vital health metrics in the palm of the hand in less than 30 seconds! 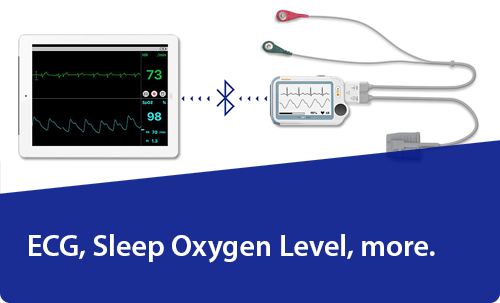 YOUR vitals (ECG| Heart Rate| Respiration | Heart Rate Variability | Blood Oxygenation |Temperature); pedometer and medication reminders combined with our algorithms and indices provide the information needed to support a healthy lifestyle, chronic care management or maximize fitness regimens. 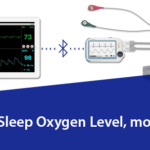 BodiMetrics™ VitalsRx tracks and reports on continuous ECG (24 hour Holter) and Blood Oxygenation (SpO2 for up to 15 hours) providing effective monitoring and screening for heart irregularities and sleep related health issues like sleep apnea. 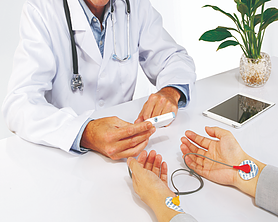 Optional Bluetooth Blood Pressure wrist cuff provides the user seamless Blood Pressure metrics and syncing to VitalsRx mobile app and secure cloud. 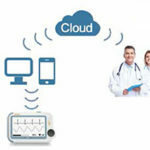 BodiMetrics™ Cloud is a powerful system that provides patients and clinicians secure and easy connections. 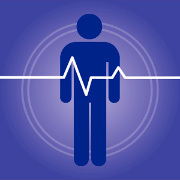 Data can flow from one person to another seamlessly and freely under authorization. 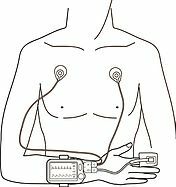 Both patients and doctors benefit from the availability of data. The VitalsRx Health Monitor is intended to be used for measuring, displaying, reviewing and storing of ECG (adults only – continuous ECG is not for children under 12 years of age), oxygen saturation and pulse rate (adults only for continuous data collection and recording, adults and pediatrics for spot checking) and temperature in the home or in healthcare facilities. 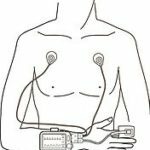 This device is not intended to substitute for a hospital diagnostic ECG device and also not to be used on patients with implanted cardiac devices, such as pacemakers and/or implanted cardio-defibrillators (ICDs). Copyright © 2016 Bodimetrics. All right reserved.